India’s recent successful launch of a reusable space shuttle has got traditional space powers, the USA, Russia, Europe and now China, too, sitting up and taking notice. A couple of decades ago, the assumption that India was capable of claiming a part of the launch services market would have appeared too bold. Launch services had been securely divided between the US, Russia and Europe. At that time, India was only "learning" to fly into space, building sub-orbital vehicles, and light-class carriers that could deliver a few dozen kilograms of load to a low Earth orbit. The situation changed in the early 1990s. India then developed and commissioned the Polar Satellite Launch Vehicle (PSLV), a middle class launch vehicle, which has performed 35 test flights to date, of which all but one have been successful and one has been partly successful., making the PSLV’s reliability rating almost 95%, placing it on par with the best Russian, US and European carriers. The most major achievement of the Indian space programme has been the successful launch of the ‘Mangalyaan’ (Mars orbiter mission) automatic vehicle into Mars’ orbit in September 2014. Russia has made a contribution to development of Indian space vehicles. 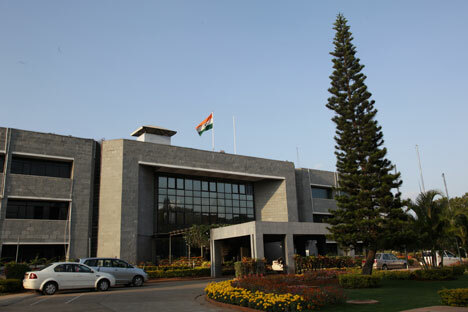 Glavkosmos and the Indian Space Research Organisation (ISRO) were close to an agreement in 1991 on Russia selling KVD-1cryogenic engines and technologies for manufacture in India. However, despite India’s claims that the engines were necessary only for its peaceful space exploration programme, Washington considered the deal a violation of the "Missile Technology Control Regime" (MTCR). In modern warfare, the use of rockets with cryogenic engines is not effective because of the long time it takes to refuel these vehicles with liquid oxygen and hydrogen. However, cryogenic engines can still be mounted on long-range ballistic missiles of load carrying capacity. The White House and Capitol Hill thought India would try any means to build nuclear weapon carriers for strikes on Pakistan, and that would force the latter to begin developing a similar "baton". The nuclear arms race in South Asia would be escalated. At that time Russia could not be accused of violating the MTCR, since it acceded to the regime only in 1995. However, following the "strategic partnership" rules, which were formally present in Russian-American relations in the 1990s, the Yeltsin government conceded to Washington and refused to transfer technology to India for production of rocket engines (the engines were provided). India has coped well with this task, and gone to higher strengths in this century. In this regard how can one not remember the "thank you", which Mao Zedong said to Khrushchev in the 1960s, which made him refuse to supply ballistic missiles and related technology to China. That refusal saw China create its independent space programme. The idea of reusable space technology is experiencing a renaissance. The greatest success is achieved by the SpaceX company, which has built and is operating the CR "Falcon 9" with a reusable first step. Europe, developing RN "Ariane-6" with returned propulsion, operates in the same direction. India, which has now successfully tested the RLV-TD launch vehicle with a reusable first step, is also part of this list. While this is not at a fully operative stage, but a technological demonstrator not intended for actual re-use, "the first step is the hardest." India expects that use of partially reusable carriers will reduce the cost of space launches by around 10 times. It is unclear whether the idea of a rocket carrier with a reusable step confirms the economic viability of such equipment. One of the main arguments "against" the idea are excessive loads experienced during the landing stage. After landing, the step will have to be completely disassembled to ensure suitability for re-use, and this could level out the economic benefits of reusability. A similar argument could have been applied to the Wright Brothers airplane, which was very fragile, and needed sorting out after two or three flights. But humanity opted for the aircraft, and not the ‘montgolfier’ balloons. As it turned out, humanity was not mistaken. It is unlikely that India has become a serious competitor for Russia in the global launch services market. However, the Indian space agency is seeking to build designs and techniques corresponding to the most recent trends in global rockets. This, however, is not true for Russia. The project to build a space rocket system with a reusable first step has been withdrawn from the draft of the Federal Space Program (FCP) for the years 2016-2025. It will be built in 2030 at best.